This gorgeous 1 oz Gold bar, produced by PAMP Suisse, was designed in honor of the Chinese Lunar New Year. PAMP Suisse is the world's leading manufacturer of Gold and precious metals. Their prestigious bars are recognized by Gold and Silver admirers everywhere, and they remain a symbol of wealth and prestige. Purchasing a PAMP Suisse Gold Bar is the perfect opportunity for a new investment. 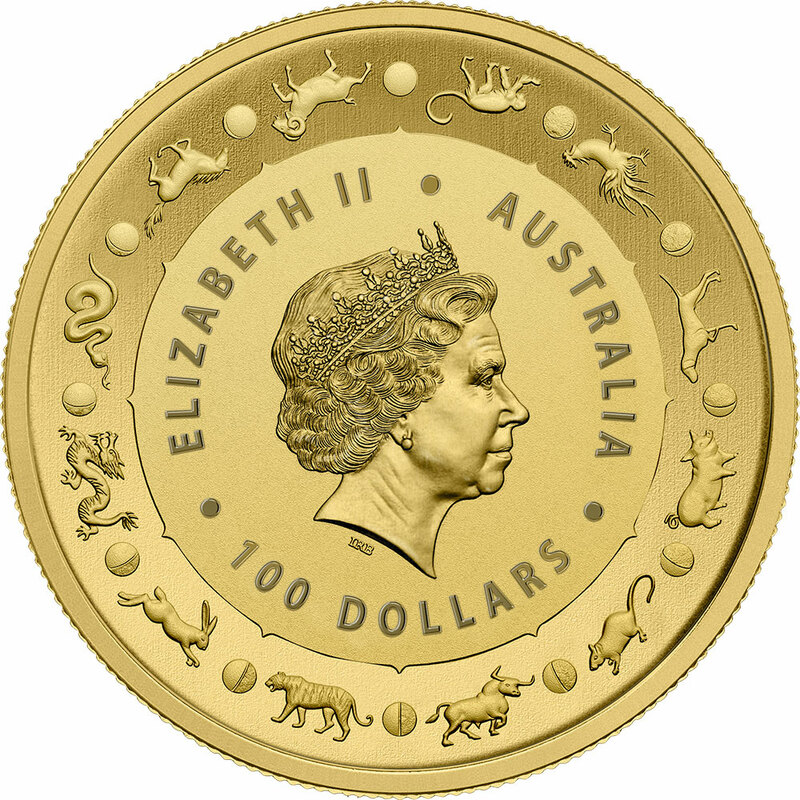 This elegant PAMP Lunar Dog Gold Bar features on the obverse side a Golden Retriever sitting in front of his kennel. The Chinese symbol for "Dog" is elegantly displayed above the dog. On the reverse side of the bar, the same image can be seen displayed form the back. There is also essential additional included like the weight of the ingot, the purity of the gold, and the unique serial number designated to each bar. Take care of your PAMP bars by using protective gloves while handling it. The Gold bar can also be stored in a PAMP high-tech vault. This will protect your investment not only against scratches but also accidents. 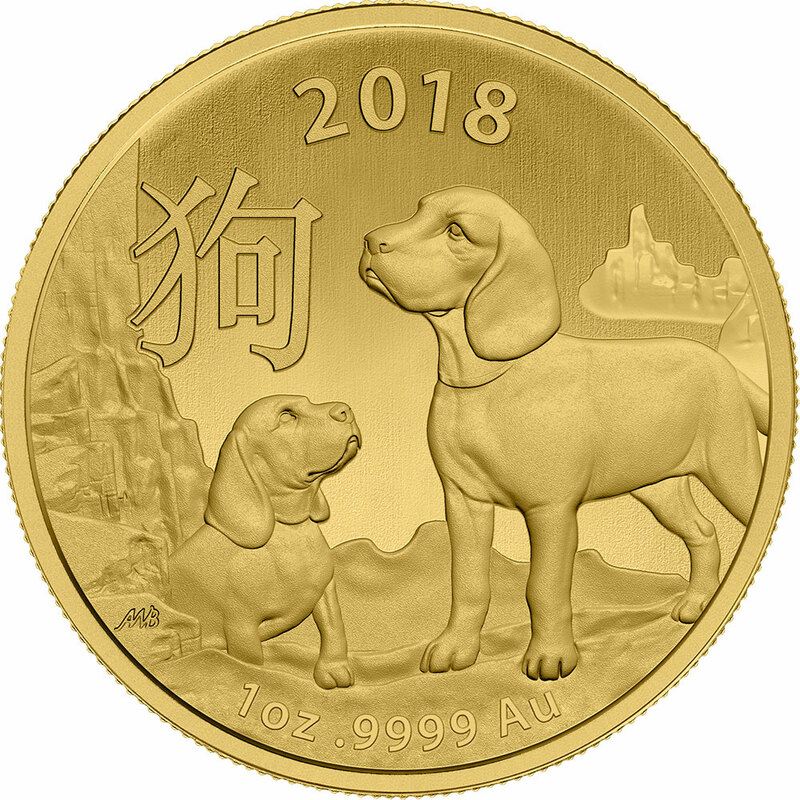 This beautiful gold coin aims to celebrate the Chinese Lunar New Year and important annual festivals in China, as well as anyone born in the Chinese Year of the Dog (1934, 1946, 1958, 1970, 1982, 1994, 2006 and 2018). The dog symbolizes honorable traits such as loyalty, compatibility, and kindness. These traits are also known for those born in "The Year of the Dog". The ancient Chinese myth claims that the Jade Emperor had to decide the order of the animals for the calendar. Not knowing how to go about it, he decided to allocate a place according to the order of arrival of the animals at his royal holiday. The Monkey, the Dog, and the Rooster were outside the Empire chasing evil spirits and bringing peace and prosperity to the kingdom. Because of this, they arrived together. The Jade Emperor was impressed by their great act and honored the animals with their position - finally honoring the dog with the eleventh position.